The West Dundee Chiropractic And Acupuncture team is ready to welcome you! You’ll find our office friendly and full of energy, ready to focus on your needs and how best to meet them. On your first visit with us, you’ll have a consultation and examination. Depending on your case, we may take X-rays. Dr. Craig will discuss your needs with you to understand what you’re looking for and how we may be able to help you. We’ll ask you to return for a second visit to receive a full report of our findings. This visit takes 20-30 minutes. When you return, Dr. Craig will go over her findings from any X-rays taken and from your examination. 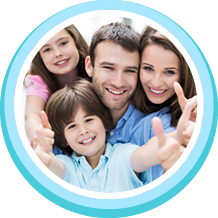 We’ll discuss whether we can help you, and if so, what the best plan for your treatment is. On this and your following visits, you’ll have physical therapy, then an adjustment. Stretches or exercises may be added to your plan as we progress. Please plan on being here for 20-30 minutes. A lot of people have asked us whether they have to continue seeing a chiropractor for the rest of their lives once they start. Our patients usually find that once they gain all the benefits of chiropractic, they want to keep them and start on a maintenance program. Just like going to the gym, you can’t see a chiropractor once per year and expect to stay fit and healthy. Keeping your spine aligned and your nerves functioning takes maintenance. The frequency of your visits will depend on your condition. It’s important to us that you’re armed with the knowledge you need to stay healthy. Join our newsletter mailing list today! Call us for your appointment!